I can't import how much I love Sigma brushes and I've already talked about the brand in my affiliate post lately here. Sigma is famous for their high quality yet affordable makeup brushes and today I am going to review my cult-favorite E-55 eye shading brush. The density, the bristles, the size, the performance about this pretty little baby is just correct. The E55 Eye Shading features a soft and dense squared brush head with slightly round edges. This brush works best for an all-over application of color to the with lighter shades for a base. I am an avid makeup junkie and Sigma Beauty is a unknown name if you're a blogger or YouTube makeup guru. I have tried my fair share of brushes from different brands, be it high-end or drug store or un-branded without names. Sigma E55 Eye Shading is a soft and very dense brush with rounded edges and tightly packed exclusive SigmaTech fibers. Can be used to apply cream and powders. The dense bristles just pick the right amount of shadow and transfers it on lid without creating a mess or extra effort. The brush is specifically designed for an overall application of the color on an eye lid. The bristles of the brush are very soft yet completely packed to give a flawless base or a nice wash of color to the lid. It has natural hair so you can be creative and use its round edges for a blending purpose. I like to apply and blend my highlighter with this one. The length and thickness of the brush is just perfect with a well-built handle; gives precise grip if you want to contour sides of your nose or highlight the bridge of your nose. I like how the product only stays on top and doesn't sink in. Perhaps, not wasting product. This is by far one of the best eye shading brush I posses. From a short, tapered bristles to sturdy 3-ring ferrule to the well-built handle screams nothing, but QUALITY only. I have washed it several times with a mild shampoo but have not noticed any single shedding or what so ever. I let it dry in a natural air upside down for couple of hours. All and all its a win win brush for me. It picks up just the right amount of product without any fall outs and transfers on lid beautifully. Sigma E55 Eye Shading Brush priced $14 and can be purchased from here. You can use code "SIGMAPINK" for the entire month of September and can save 10% OFF your order every time. No limits. What do you think about it? Have you tried any of Sigma brushes? 25 comments on "Sigma E55 Eye Shading Brush [Review]"
I have this brush as well and I do love it for basic eyeshadow application! It's great for patting on base shadows and even slight blending. I'd still reach for a fluffier, bigger one for proper blending though. I'm not a makeup person so I have no idea which brushes are for and which one is good to use. But reading post from bloggers like you makes me wanna learn more. I do love brushes from the brand Sigma. 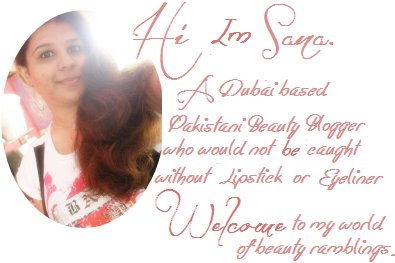 Thanks for a detailed review Sana, will try it out soon. i thought sigma is pretty big? wouldn't think of them as an unknown brand... or is this sigma beauty brand not related to the other sigma brushes that's high raved by bloggers and youtubers? i don't ever do eye makeup so i probably won't need this brush, ever. but it's really cute! i love the hot pink handle. I've heard so many great things about Sigma brushes, this one looks great too. Thanks for such a great review. This is one of my favourite sigma brushes, my holy grail items actually. I have this brush and i exactly know what you feel about it! It is indeed a perfect brush for packing up color on lid. ooo i cant wait to try out sigma brushes one day...my current fav is hokkudo brush...they are soft and the size fit my small eyes perfectly! I love my brushes from Sigma, I have been a long time lover of the brand for sure. This brush looks like one I might need to add to my beauty stash ASAP! I like that cute pink brush. Sigma never disappoints. I just reviewed one of their eyeliners, how funny. I agree, though, that the quality is pretty wonderful! I just ordered a few brushes from them. Excited for them to arrive!! I have heard of the Sigma brushes, but never tried them out before. I'll definitely have to check them out sometime! Sigma brushes are simply unbeatable. Looking forward to have this one too. I would like to try this brush. It looks cute!